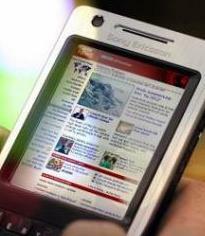 Opera today released the first beta of Opera Mobile 10.1 for Symbian Series 60 phones. Geo location feature allow one to put you and your mobile on the map, so that web services such as maps and travel applications can offer you tailored, relevant content. – Opera desktop features, like Speed Dial, Opera Link, password manager, make it easier for you to surf on the go, by reducing the time and effort it takes to get to a website. – Tabbed browsing, a virtual keyboard, kinetic scrolling and auto-rotation to landscape make browsing with Opera Mobile easier and a lot more fun. – When the network speed makes browsing tough, turn on Opera Turbo. Use our servers to compress webpages on the fly and more than double your browsing speed. One can download the beta version of opera mobile 10.1 from http://m.opera.com/next/. opera browser is faster than mobile browser. Good Browser for Mobile to take Experience Like PC Browsing. But The main disadvantage- It uses more data to open webpage it means if you are using limited plan of data, than you should care about your left data in account.